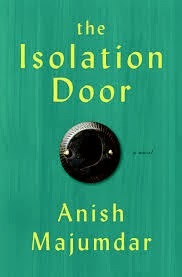 Anish Majumdar's "The Isolation Door" is a novel about a young man witnessing the downward spiral of his mother, who suffers from schizophrenia. The main character, Neil Kapoor, is a 23-year-old student who is trying escape the consuming clutches of his mother's illness. Her schizophrenia dominates his family's lives, between the sadness and the care taking. Neil explores drama school and relationships as a means of escape from his mom's illness, but each attempt, although helpful, also brings about new challenges. Majumdar does an excellent job of relaying all of the characters' emotions to the reader, from depression to joy. Majumdar does a particularly good job of capturing the mother's schizophrenia and her culture, since she is of Bengali descent. The highlight of the book is the way it portrays a family dealing with an illness with someone close. This is a story that has played out millions of times around the world, and most of us can relate to it, but Majumdar casts it in a light that allows us to learn from it. If you like stories about overcoming obstacles and facing adversity or you have had a close family member affected by a consuming illness, then you will enjoy "The Isolation Door."